To read the rest and see more videos, go to Project Upland. Hunting dogs can be frustrating, exhilarating, and, when they leave us, heartbreaking. This video introduces you a lab named Sam and a duck hunter named Steve Koehly. I learned something from both of them. They may teach you something, too. Warning: If you don’t want to be seen with wet eyes, don’t watch at work. Here’s more gundog-quail action from the folks at Hifive Kennels. Check it out to see lots of great points and lots of fantastic flushes. Hifive is a well-known kennel in Beulah, MI. They’ve been breeding, training, and trialing dogs for 20+ years, and they’ve produced a long list of great dogs. Lingo – everything has it. Here’s a good intro some of the basic training terms retriever guys toss around all the time. Training tip: Does your bird dog like you – or respect you? Respect, like success, is something you have to earn. The first time I sent my pointer to the trainer, I visited her every weekend. But when I showed up it was play time, not work time. We went for runs, tossed a ball around, and goofed off. I was her buddy, and she treated me like an equal. This worked for a while. But the first time I took her in the field, the flaws showed right away. Instead of following commands, she did what she wanted. If that meant coming when called, she did it. If it didn’t, I could blow and blow on my whistle. She wasn’t going to listen. I talked to my trainer about the problem and he explained the issue: she liked me, but didn’t respect me. I had to earn her respect. Once I did, everything changed. “There are two basic ways to correct your dog during formal training. One way is with stimulation from the e-collar and the other is using physical correction. Physical correction was the primary form of correction to teach the steadying process until the late 1980s when Tri-tronics came out with a variable intensity e-collar. Unlike the “hot” single button e-collars that were the norm, this new e-collar had low, medium, and high buttons and five intensity levels. For the first time, you could adjust the intensity level of the e-collar to fit the situation and use it around birds without causing blinking problems. Learn more — reading the entire piece now. What do you really need to train bird dogs? A friend of mine has won some of the top field trials in the country. I asked him once about what it really takes to train bird dogs. Steadying barrels and fancy leads? Nope. Wireless launchers and the latest ecollars? Nope. He told me that the most important things are patience and brains. Ross Callaway is the trainer featured in this video. If you watch him work this young dog, you can see that Ross has plenty of patience and brains. 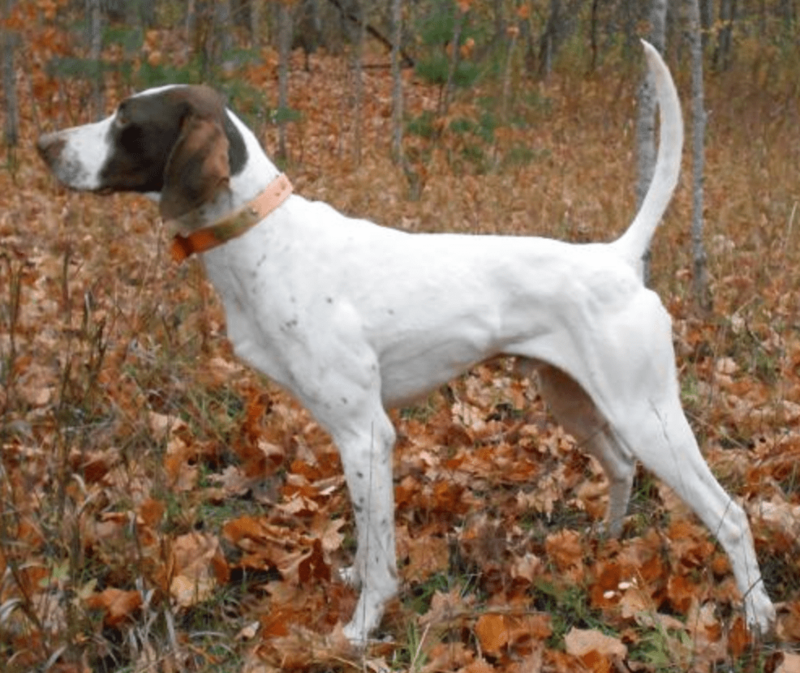 HUNTING DOGSdog training, hunting dogs, pointers, retrieving, Ross Callaway, setters, training3 Comments on What do you really need to train bird dogs? Blank-firing training pistols: are you using it wrong? Are you using it the right way? I’m always excited to get updates from the folks at Steady with Style. I’ve learned a lot about dogs and dog training from Martha Greenlee’s posts, and I read every one as soon as I hear about it. This one is essential for anyone who uses a blank pistol. “How you use a blank gun can help or hurt you in training. Recently, I was training with some amateurs that were fairly new to pointing dogs. They had done a great job introducing gunfire to their dogs, but now their dogs were older. Most were between one and two years old and every time their dogs chased quail, they fired their blank guns. It wasn’t my place to say anything, but I was glad I wouldn’t be teaching these dogs to be steady-to-shot. Their dogs had already made an association with chasing and the blank gun, and once formal training began, they would most likely launch themselves like rockets anytime they heard the sound of the shot. Be sure you’re doing it right. Read the rest of this piece now. I hate regret. Unfortunately, it seems to be another unavoidable part of life. One thing I regret is not being a smarter dog owner. Living with my English Pointer Puck has been a learning process, and that process has been full of stumbles, bone-headed mistakes, and just plain stupid moves. I’m fortunate that my little girl doesn’t hold grudges like I do. “Check-cord tension is one of the most important forms of communication between your dog and you. How much tension is too much, or to put it another way, how hard should a dog pull is a question that is often asked but hard to answer. It is like asking a race car driver how fast is too fast. It depends on the car and the track. Same thing with a dog. It depends on the dog and the situation…” Read the whole post here.